New research released in 2018 revealed that the UK still remains as Europe’s leading country for global technology investors, with technology businesses in the UK seeing to raise 32.99bn worth of VC investment in 2017. This is found to have been double the figure raised in 2016. GETTING INVESTMENT READY WITH A SUCCESSFUL BUSINESS PLAN, a case study interview. B&F Business Plans would like to invite you to join us for a live discussion about getting your tech start-up ready with a successful business plan. 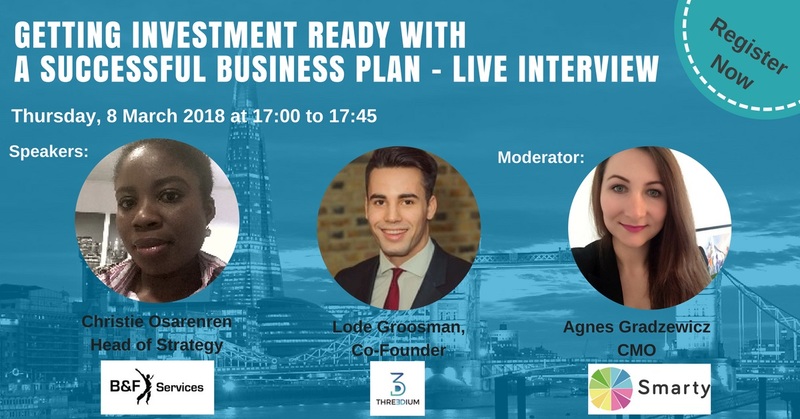 In this 30 minute webinar Christie Osarenren, Head of Strategy at B&F Services and Lode Groosman, Co-Founder, Threedium will share their knowledge regarding business planning and the essential preparations for your tech start-up being investment ready. Tech startups are blossoming in every corner of the globe and remarkably, a new startup is birthed in London every day, according to Tech City UK. 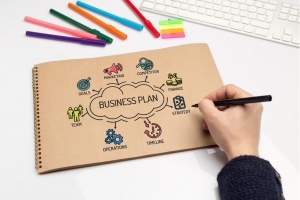 A business plan is an essential road map for the success of any business endeavour, but few small businesses ever complete a plan for many reasons and some simply dismiss its purpose. We’ll discuss the importance of a business plan, how to tailor it to investors with an appetite for technology, how to ensure your message is clear and how B&F Services works with clients to develop comprehensive business plans for tech founders to obtain their target investment. 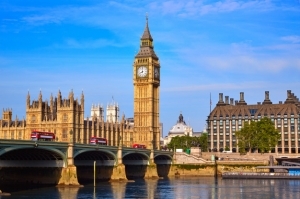 Recent reports compiled by the London School of Economics and several industry insiders have shown us what the UK business SME sector current performance is. There are challenges reported however, Britain’s SMEs are proving more than ever to be a critical driver of the economy. As some industries are fairly evenly spread around the country; others were seemingly concentrated in a number of locations; while in another scenario, activity is concentrated in only one location. Finance as a sector emerged in the second category. However, the creative sector and ICT fall into the third category. Given that these are considered high growth potential industries, the even spread of opportunity is still very much absent. Larger firms, it seemed which tend to invest more and have higher productivity, were very sparsely spread: only 55% of local authorities have 10 or more large firms. Although more encouragingly, the growth of mid-sized firms is evenly spread across the nation. As a key to continued growth, it was striking to discover that yet only just over one in ten firms export and those that do export are most likely to be based in London, the South East or the East of England. The North East has the lowest share of exporters at fewer than 6%. 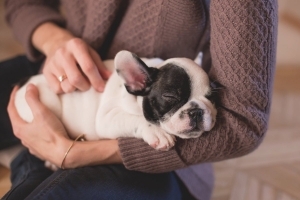 Investopedia defines a startup as a young company that is just beginning to develop. They come in multiple shades are usually small but are financed and operated by a handful of founders or one individual. Some of the key issues founders face would be in financing their startups. Advisedly, the best option is bootstrapping at the initial stages of the business by either using personal funds, funding from friends and family or other sources of grants. 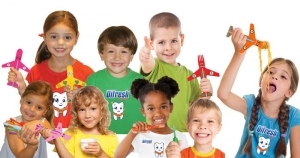 This ensures there would be minimal, or none of the costs usually associated with external funding. 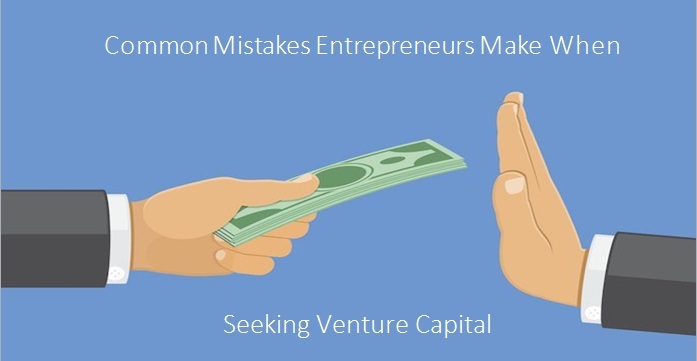 However, when a startup is past its prototyping phase, which we would define as venture or ready to trade (versus seed or early startup) its founders would need to carefully consider how best to secure capital. The British Business Bank recommends equity investment is crucial to the growth and upscaling of a business. For example, nascent fast-growing fintech app, Revolut received £50 million funding in July 2017 from London VC Index Ventures. 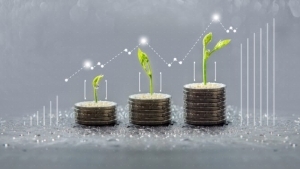 Equity financing options have become more diversified as business owners seek tailored solutions suited to their specific business and revenue models. While investors are looking for better ways to guarantee returns and reduce the risks associated with venture funding. 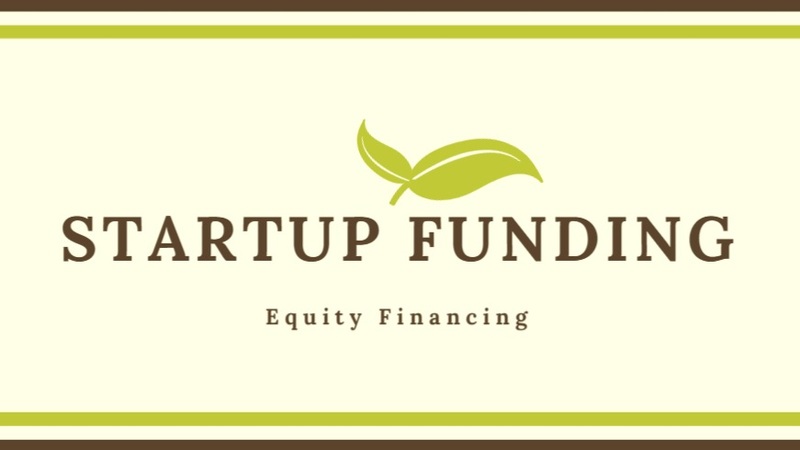 Moreover, a business could become profitable and buy back ownership, which may eliminate the concerns founders have regarding equity funding.